Indian achievements in fields like mathematics, philosophy and sciences are fairly well known among Indians and well-educated people from other countries. But the Indian Civilization’s achievements in the field of literature go vastly unsung. Most scholars concentrate on the Vedas, Upanishads, and other religious texts. Classical Sanskrit literature is largely ignored outside select academic circles. There are two literary forms that owe a lot, if not their modern origins, to Sanskrit writers – drama and short-stories. In recent times, such ill-informed views have been discarded. Contrary to Professor Keith’s claims there was a vast repository of epics, religious beliefs and mythology in India to provide creative impetus to playwrights. The Mahabharata and the Ramayana themselves were veritable gold-mines for prospective writers. In addition to these eight “major” sentiments, Natya-sastra mentions 33 minor sentiments that are usable within a play. But a good play balances these eight major sentiments harmoniously. If, as is widely believed, most drama was performed in the courts of kings and other established institutions, then free speech in ancient India was well and thriving! From criticizing kings to making fun of Brahmins, playwrights did it all. Story-telling, it is often said, is one of the greatest gifts of India to the world outside. It is theorized that this genre emerged when stories told by illiterate villagers for centuries was committed to script in the literary language of that period. Jatakas (birth stories of Buddha in innumerable previous lives), are the earliest collection of Indian short stories. 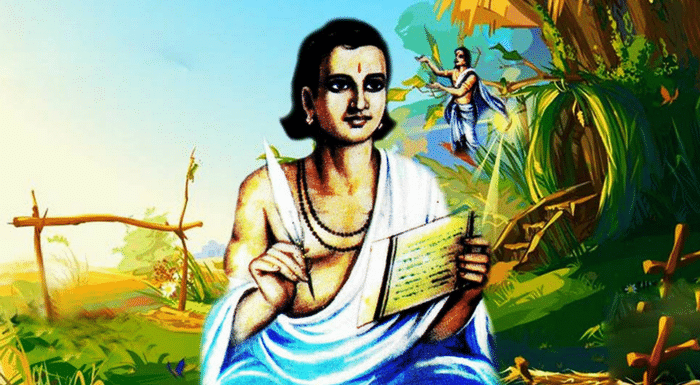 While there are reflections of oral literature in the Brahmanas (1000 – 500 BC) and epics like Ramayana and Mahabharata are themselves vast reservoir of stories, Jatakas are the first stories aimed at common people. Unlike prior religious texts, these were written in Pali, the language of common people instead of Sanskrit. The Jatakas were followed by the Panchatantra, a collection of stories classified into five chapters. Other popular books in this genre are the Hitopadesa (a distillation of stories from Panchatantra) and Katha Sarit Sagar (a collection of more than 300 short stories). Two hundred different versions of the Panchatantra are known in some sixty-odd languages. Some have called this the most widespread non-religious book. All western versions are derived from a translation by a Persian doctor (550 AD), a Syriac version (570 AD) and an Arabic one (750 AD). These were later translated into Greek, Hebrew and Latin (by John of Capua, 1270 AD). From Latin they were translated into German and Italian (Doni, 1529 AD). The Italian version of Doni was translated into English by Sir Henry North in 1570 AD. There are many similarities between classical Indian drama and classical English drama during the time of Shakespeare. Many themes and styles that were developed by Indian dramatists are displayed in English works. Scholarly study on the possibility of Indian influence on English plays has been to my knowledge not yet been published or publicized. But such a study would be extremely helpful in tracing the origins of modern English literature. [i] The Sanskrit Drama by A. Berriedale Keith, Oxford University Press. 1924. [ii] Natya-sastra. The book is attributed to sage Bharata. It was probably written between 200 BC and 300 AD. [viii] Source: A Short History of the Drama by Martha Fletcher Bellinger. Henry Holt and Company. 1927.